Explanation: Saturn never shows a crescent phase -- from Earth. But when viewed from beyond, the majestic giant planet can show an unfamiliar diminutive sliver. This image of crescent Saturn in natural color was taken by the robotic Cassini spacecraft in May. The image captures Saturn's majestic rings from the side of the ring plane opposite the Sun -- the unilluminated side -- another vista not visible from Earth. 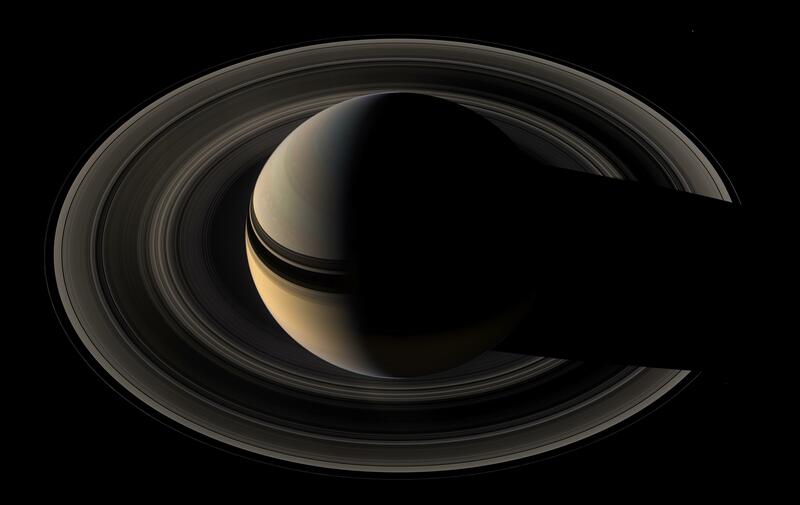 Pictured are many of Saturn's photogenic wonders, including the subtle colors of cloud bands, the complex shadows of the rings on the planet, the shadow of the planet on the rings, and the moons Mimas (2 o'clock), Janus (4 o'clock), and Pandora (8 o'clock). 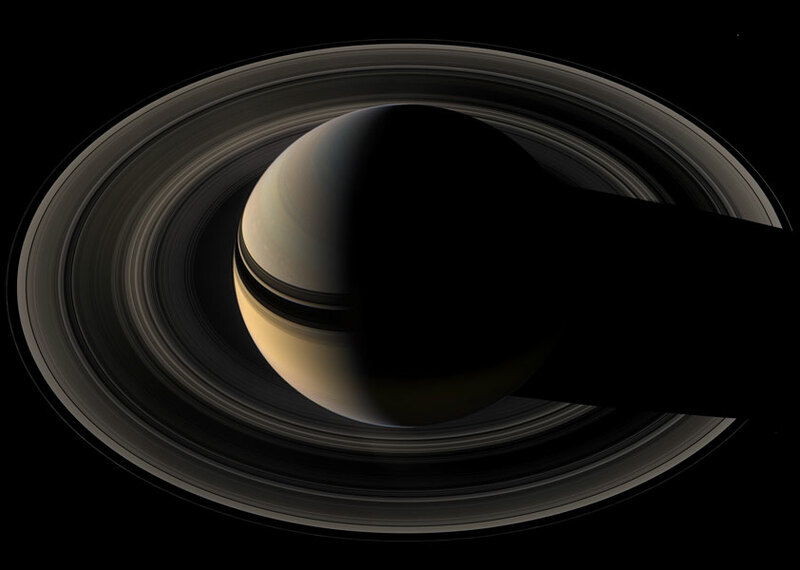 As Saturn moves towards equinox in 2009, the ring shadows are becoming smaller and moving toward the equator. During equinox, the rings will be nearly invisible from Earth and project only an extremely thin shadow line onto the planet.